The obesity epidemic is an overwhelming global health concern. Interventions to improve body weight and composition aim to restore balance between nutrient intake and energy expenditure. Myostatin, a powerful negative regulator of skeletal muscle mass, has emerged as a potential therapeutic target for obesity and type 2 diabetes mellitus because of the prominent role skeletal muscle plays in metabolic rate and insulin-mediated glucose disposal. In fact, inhibition of myostatin by genetic manipulation or pharmacological means leads to a hypermuscular and very lean build in mice. The resistance of myostatin-null mice to diet-induced obesity, fat mass accumulation and metabolic dysfunction has been presumed to be a result of their large skeletal muscle mass; however, in this issue of Diabetologia, Zhang et al. (doi: 10.1007/s00125-011-2304-4) provide evidence that myostatin inhibition also significantly impacts the phenotype of white adipose tissue (WAT). The authors reveal elevated expression of key metabolic genes of fatty acid transport and oxidation and, intriguingly, the presence of brown adipose tissue-like cells in WAT of myostatin-null mice. They also show that pharmacological inhibition of myostatin replicates several of the protective benefits conveyed by its genetic inactivation. Herein, these data, areas in need of further investigation and the evidence that implicates myostatin as a target for obesity and type 2 diabetes mellitus are discussed. Over two billion adults worldwide are obese or overweight ; a statistic that reflects the widespread and fundamental imbalance between energy consumed and energy expended. Exercise is an effective and beneficial means to promote energy utilisation in the battle against obesity . However, adoption of a more physically active lifestyle, much like improved dietary habits, remains poor and underscores the need for alternative interventions. In this issue of Diabetologia, Zhang and colleagues offer additional support for myostatin inhibition as a potential strategy to counter obesity, and reveal an intriguing new mechanism by which it enhances energy expenditure in mice . Myostatin and the impressive ‘double-muscled’ phenotype of myostatin-null mice were discovered by the laboratory of Dr Se-Jin Lee in 1997 . Myostatin (also known as growth and differentiation factor 8 [GDF-8]) is a member of the TGF-β superfamily. It is predominantly produced in skeletal muscle where it actively suppresses cell growth and differentiation by signalling through the activin type IIB receptor (ActRIIB). Myostatin has been highly conserved across evolution , and naturally occurring loss-of-function mutations augment skeletal muscle growth in multiple species, including humans . As a result, there has been great interest in developing inhibitors of myostatin (e.g. antibodies, soluble decoy ActRIIB [sActRIIB] and propeptides) to build and/or regenerate skeletal muscle in the face of ageing (sarcopenia) and disease (cachexia and degeneration) (for examples, see [7, 8, 9, 10, 11]). Skeletal muscle is the primary site of insulin-mediated glucose disposal, the largest reservoir of glycogen in the human body and a key determinant of energy expenditure. Hence, several recent studies have also investigated the effects of genetic and pharmacological inhibition of myostatin, and the resultant ‘resistance exercise-trained’ phenotype, on the prevention and treatment of obesity and type 2 diabetes mellitus (reviewed in [12, 13]). Similar to these reports, Zhang and colleagues demonstrate that inhibition of myostatin increases skeletal muscle mass and prevents accumulation of body weight, fat mass, and circulating concentrations of triacylglycerol caused by high-fat feeding . However, while earlier studies have universally concluded these benefits were secondary to the increase in skeletal muscle, Zhang et al. show remarkable changes in the adipose tissue of myostatin-null mice. Specifically, the authors demonstrate that compared with wild-type mice, white adipose tissue (WAT) of myostatin-deficient mice more highly expresses key genes of lipid transport, synthesis, hydrolysis and oxidation. They also measured an increase in the expression of genes encoding transcription factors and uncoupling proteins (UCP) that are more common to brown adipose tissue (BAT). In fact, histological analysis of WAT explants derived from myostatin-deficient mice revealed the presence of BAT-like cells, defined by their relatively small diameter, inclusion of multilocular lipid droplets and positive staining for UCP-1. A phenotypic shift of WAT towards its more metabolically active counterpart, BAT, is now commonly referred to as ‘browning’ or ‘beiging’. This phenomenon is of particular interest to the fields of obesity and type 2 diabetes mellitus because BAT is a powerful energy-burning and heat-producing tissue that has recently been confirmed to be present and active in adult humans [14, 15, 16]. Of note, Zhang et al. report myostatin-null mice were ∼1°C warmer than wild-type mice, and WAT explants (as well as liver explants and cultures of primary myotubes) from myostatin-null mice demonstrated higher rates of fatty acid oxidation than wild-type mice . Collectively, these data suggest inactivation of myostatin protects mice from diet-induced obesity not only because of increased energy utilisation by a larger mass of skeletal muscle, but also as a result of enhanced metabolic activity in WAT and potentially in other tissues. Importantly, from a therapeutic perspective, the authors also show that pharmacological inhibition of myostatin replicates several of the protective benefits conveyed by its genetic inactivation. In the present study, treatment of mice with sActRIIB (5 mg/kg, three times per week) concurrent with 12 weeks of high-fat feeding prevented the significant increases in body weight, WAT depot weights and circulating triacylglycerols observed in mice receiving vehicle. These data corroborate those of Akpan et al. from a study in which high-fat fed mice receiving sActRIIB for 10 weeks also gained less fat mass and had lower glucose and cholesterol concentrations compared with vehicle-treated mice . Zhang and colleagues also observed that administration of sActRIIB prevented the significant downregulation of key genes of uncoupling and oxidative metabolism in WAT that was observed in vehicle-treated mice in response to high-fat feeding. While ActRIIB binds a broad repertoire of ligands, the similar phenotype between myostatin-null and sActRIIB-treated mice suggests inhibition of myostatin largely accounts for the benefits observed. These data support the notion that myostatin blockade may be a viable strategy to prevent obesity in humans (illustrated in Figs 1 and 2). Whether or not pharmacological inhibition of myostatin can also attenuate the progression of or reverse obesity remains to be determined. It is plausible that myostatin inhibition improves the gene expression profile and metabolic state of WAT through direct and/or indirect mechanisms. With regard to a direct mechanism, the prevention of myostatin and other ActRIIB ligands from eliciting signals in adipocytes, preadipocytes and/or mesenchymal stem cells may have altered gene expression and/or cell differentiation. In a very recent publication in Diabetologia, the authors of the current study reported an increased abundance and activity of the fuel-sensing enzyme AMP-activated protein kinase (AMPK) in the adipose tissue, liver and skeletal muscle of mice lacking myostatin . While it is unclear how the absence of myostatin stimulates AMPK signalling, it is a mechanism that would attenuate fatty acid synthesis and promote fatty acid oxidation in WAT (reviewed in ). However, the role of myostatin in adipogenesis is controversial and the direct effects of myostatin inhibition on adipogenesis have not been thoroughly studied. Moreover, a serious challenge to the hypothesis that myostatin inhibition directly affects WAT comes from an elegant study that assessed whether targeted expression of a dominant negative ActRIIB in adipose tissue would prevent diet-induced obesity and metabolic dysfunction . The results convincingly showed that there were no beneficial effects of inhibiting myostatin signalling in adipose tissue on weight gain, fat mass, adipocyte size, glucose homeostasis or circulating leptin or triacylglycerol concentrations. In contrast, muscle-specific expression of dominant negative ActRIIB improved all of these variabless of body composition and metabolism, suggesting that the adaptations in WAT phenotype in response to myostatin inhibition are primarily indirect and secondary to changes in skeletal muscle. A growing body of evidence highlights skeletal muscle as a prominent node in the powerful and complex cross-talk between metabolically active tissues. For instance, mice homozygous for a mutation in the myostatin gene are resistant to diet-induced hepatic steatosis, elevations in inflammatory cytokines and macrophage infiltration/activation in adipose tissue and skeletal muscle compared with wild-type and heterozygous mice . 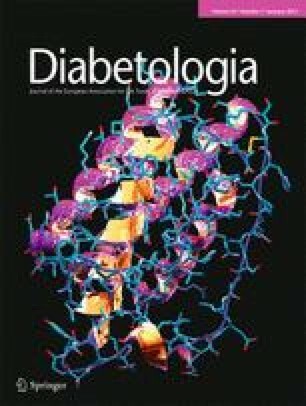 Postnatal blockade of myostatin with a neutralising antibody in obese insulin-resistant mice significantly improved glucose homeostasis, lowered circulating triacylglycerols and increased circulating concentrations of the adipose tissue-derived cytokine, adiponectin [17, 22]. The absence of myostatin also appears to protect high-fat-fed LDL receptor-null mice from dyslipidaemia and atherogenesis, as LDL receptor/myostatin double knockout mice have decreased VLDL generation, improved lipid profiles and reduced atherogenesis progression . In view of the coordinated responses of muscle, liver, adipose tissue and the vasculature highlighted in these models, it is likely that the benefits of myostatin inhibition on WAT gene expression and metabolic activity observed by Zhang et al. are predominantly indirect. Nonetheless, the significant effect of myostatin inhibition on the phenotype of WAT deserves further study. The possibility of a network of hormonal communication (e.g. myokines) between skeletal muscle and adipose tissue, as well as other metabolically important organs, is of particular interest. From a clinical perspective, there is a growing body of clinical evidence to support myostatin blockade as a therapeutic strategy for obesity and type 2 diabetes mellitus. For example, increased myostatin production and, more impressively, myostatin secretion has been observed in skeletal muscle and adipose tissue samples derived from obese and extremely obese women. Increased circulating levels of myostatin in this cohort were found to be correlated with insulin resistance . In addition, the expression of the gene encoding myostatin (MSTN) in skeletal muscle of obese patients undergoing gastric bypass surgery was significantly decreased in response to weight loss and associated with improved insulin action [25, 26]. Increased expression of MSTN was also recently detected in skeletal muscle biopsies of healthy but at risk first-degree relatives of patients with type 2 diabetes mellitus . Collectively, these clinical observations suggest that myostatin may contribute to deleterious changes in body weight, body composition and whole-body metabolism. Based on previous studies referred to in this commentary and new insights from Zhang and colleagues, myostatin inhibition may be a strategy to enhance energy expenditure in the battle against obesity and type 2 diabetes mellitus. The author would like to thank Gunther Chanange from the Mayo Clinic Center for Innovation, for creating the illustrations in this manuscript. This author would also like to acknowledge the support of Mayo Clinic and a generous gift from Robert and Arlene Kogod. NK LeBrasseur was responsible for the conception, writing and final approval of this article.